Thought I should post something as Jamie told me that I am being slack!Even though he is right I just have been so busy with every kid I know right now having a birthday party including my own.Well any way this was taken up at Hillary’s a couple of months back with some very unusual clouds around that night.I love these boat shots as I love the water and anything do do with boating!! ~ by Mel on November 27, 2008. Nice shot Mel, I remember that afternoon well. Nice smooth shot. I have a fair few shots of the marina I have to stitch, hopefully get around to it soon. We will have to go for a shoot sometime soon. 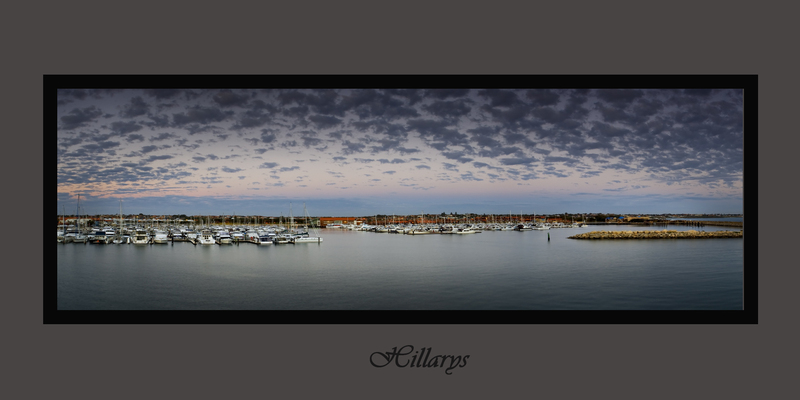 Havent been back to Hillarys to photograph since they extended the peir and put the big buidling at the end which really makes it look horibale . I live this POV as well, as Neal says I think it just needs a little colour boost. Yeah nothing a really nice 10 mill $$ boat in the forground would’nt fix.